Dog owners love their canine companions, of course, but most dog owners don’t love is the odor that your pet can sometimes put off. Walking into your house to a pungent odor after a long day at work is anything but appealing. While there are many ways you can cover or eliminate odors with sprays and plug-in deodorizers, some of these may cause harm to your pet. So how can you fix it without harming your pup? Let’s take a look at some of the best remedies to keep your home smelling fresh. This one seems like a no brainer. In the winter months, it is harder to air out your house – well, perhaps not harder, but colder to be sure! What’s the best way to keep smells at bay? 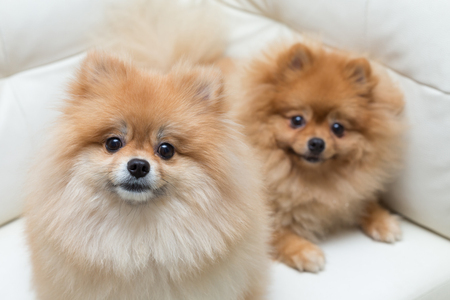 Making sure that your floors are free of dog hair will help to keep stale smells at bay. Putting in a little extra effort to clean your house once a week can help keep sheddings off your floor and that funky smell at bay. Like keeping floors clean, keeping surfaces clean is equally important. When it comes to your sheets and blankets, make sure they are washed regularly to remove strange smells and built-up fur. Fabrics have a tendency to retain oils, too, which can lead to strong odors. Washing your bedding – as well as your dog’s bedding – once a week will help you keep your home smelling fresh. Of course, sometimes the smells seep into your furniture. What then? A quick tip is to sprinkle baking soda into your furniture. Yes, that’s right – the same baking soda you may keep in your fridge to remove strange smells can work just as well elsewhere in your home. Sprinkle a bit of baking soda onto furniture or other fabric fixtures and scrub it with a furniture brush to clean. For severe smells, allow the baking soda to sit overnight and absorb oils from the furniture. Baking soda is a great way to counteract the smells and will help you take control of your home’s smell again. All of the solutions so far have focused on cleaning up the home, but of course the best place to go is to the source. Washing your dog regularly will also help cut down on odors! While dogs do not need to bathe like humans, they do build up oils on their skin and fur just like we do. They can also create dandruff – the notorious pet dander – or their oil glands can be overproductive making their coat greasy – and smelly. Getting your dog groomed will pamper your pooch and bring them back smelling fresh and clean! Have any other questions on how to eliminate pet odors from your dog? At Pauley’s Pups, we have 20 years of experience of working with animals, and you can trust our puppies will be happy, healthy and odor-free additions to your home. If you are interested in adding a new toy breed puppy to your family, call us today at 804-798-7877.